Imagine the freedom to explore and embrace life your way at SpringHouse Village Daybreak, a new OakwoodLife 55+ community . This delightful combination gives you a private village, intriguing amenities, and 13 new, livable home designs where every single day you discover there’s more to explore. Sunrise walks with new friends and four-legged companions. Sunsets at the open fire pit with gooey s’mores. Dancing, parties, Zumba, and maybe a little pickleball in between. Some days, your calendar is full. Others, you’ll enjoy mindful serenity right from your patio. The Spring House will fill the air with the very essence of active living. Private and exclusive, the 10,000 square feet of this community center is more than enough room for gathering with new friends and enjoying life. Think a state-of-the-art fitness center. Yoga. 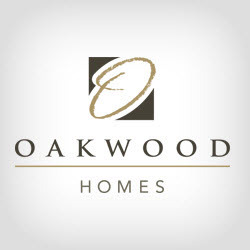 Impromptu 9-ball, card games, and activities galore from your Lifestyle Director taking pride in making wellness and fun priorities; listening and collaborating with you—it’s the type of resort-style living you should anticipate from the thoughtful experts of Oakwood Homes. There are 6 Model Homes within Springhouse Village. They are open Mon – Sat 10am – 6pm.